Four large wall panels were constructed from recycled wood and placed in several locations in the Mission District of San Francisco. Taggers and artists were invited via word-of-mouth to work on the wall constructions during this time. 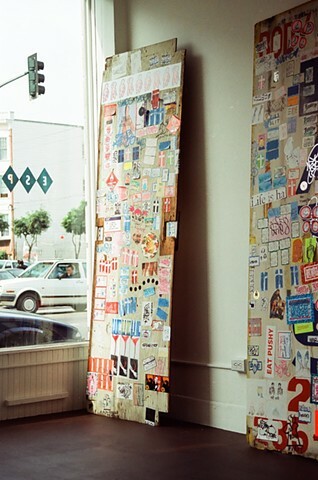 After several weeks, the walls were retrieved and installed in the gallery for the exhibition STUCK: SAN FRANCISCO STICKER ART, one of the first exhibitions of sticker art in the world. Participating artists included Shepard Fairey, Chris Johanson, and Xylor Jane.